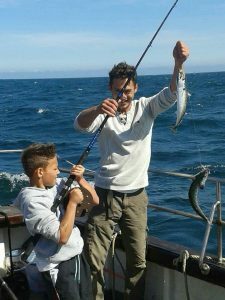 Whitby Fishing Trips 2hr Evening Trips specifically target Mackerel during the summer months and are great for families and groups visiting Whitby or on holiday, a short trip giving you something to experience in Whitby as well as something for the BBQ!!! The majority of the Whitby Fishing Trips 2hr evening trips are close to the Whitby Pier Ends as the Mackerel come right into shore, but as there are also some fishing marks close to shore and around the Bell Buoy there is always a chance of catching something a little bigger…. Our Summer Evening trips run from 6pm to 8pm, weather permitting. 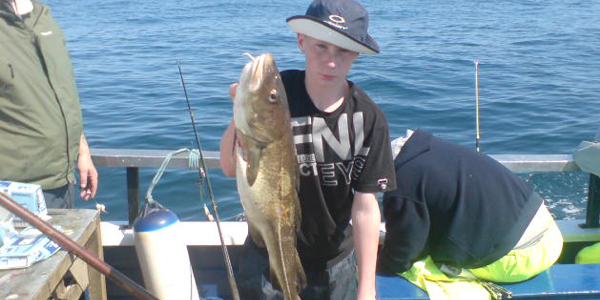 Whitby Fishing Trips 3hr taster trips are great for families and children, especially during the school holidays, as they are not too long but give us chance to travel to the fishing marks around 3 miles from Whitby Harbour, enabling Beginners and seasoned anglers alike the chance to get a feel for boat fishing under drift and how to set up a rig. 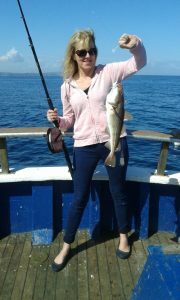 It’s all great fun and a great learning experience, with the chance of catching a variety of species, from Whiting, Mackerel, and Pouting to larger species such as Halibut, Ling and the of course the nations’ favourite Cod. Our 3hr Taster trips run twice daily during the week, from 10am to 1pm and from 2pm to 5pm, weather permitting, from the Pontoon, please ring or email to check dates and availability. If you haven’t pre-booked on the day and would like to book a trip, please be at the Pontoon at least 30mins before the departure time – this is to check availability and weather conditions. 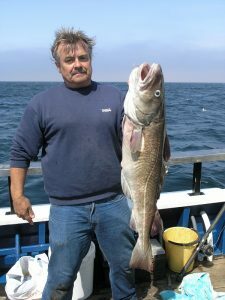 Whitby Fishing Trips also offer 6, 8 and 10hr Wreck and Reef trips which are run further offshore, weather permitting, covering various Wrecks, during the slack water periods and covering the various Grounds and Reefs as the tide runs. All Wreck Fishing is done on the drift to maximise the chance of catching. 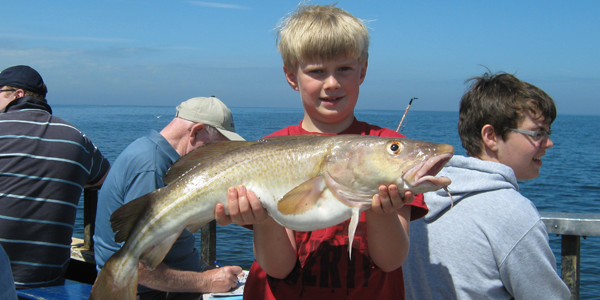 These trips are ideal for the more experienced anglers who are used to a long day at sea. We do however recommend the 6hr trip to the less experienced as its a great trip to learn the skills of wreck fishing over a half days fishing, with help from ourselves, when and if needed! 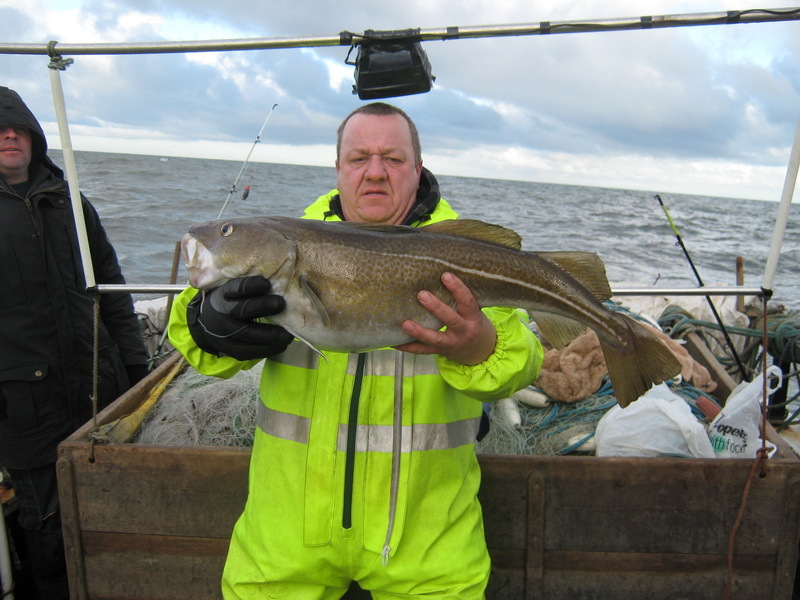 Whitby Fishing Trips – our winter Uptiding is all done under anchor in our inshore waters, as the Cod move close in to shore. 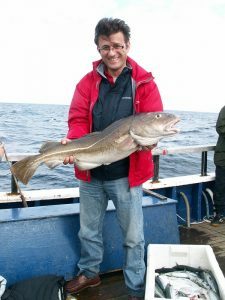 It’s a light tackle sport and involves casting and the target fish is Cod, with Jon Whitton being one of the pioneers of this specialist type of fishing. It’s great fishing during the winter and the results can be spectacular. It does get cold so if you book an Uptiding trip please remember to wrap up warm!